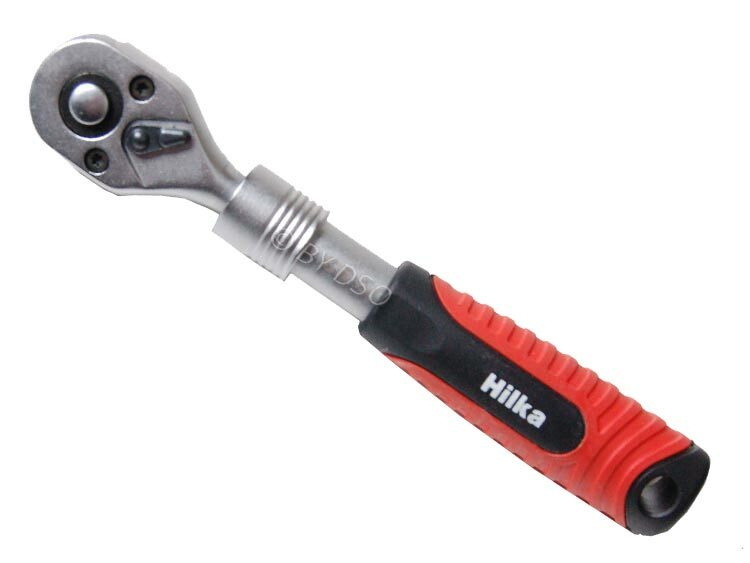 When you need extra reach in the engine bay or find it hard getting into a tight area, this ratchet handle with fine toothed gearing extends to a full 246mm making hard to reach nuts a thing of the past. Manufactured from steel with a chrome plating for added rust resistance. Forward and reverse switch on head for quick loosening and tightening. 72 teeth fine gearing moves 5 degree increments at a time. Another feature is the TRP grip (thermoplastic rubber) which allows a nice soft but firm grip.